Cable clamps provide an easy solution to binding and securing cables and wires. Quickly and efficiently attach wire and cable bundles to the wall, ceiling, or other surfaces with a single screw. 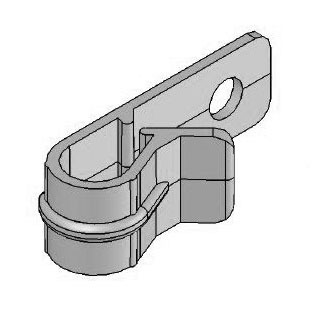 With this Cable Clamp, you can secure wire bundles up to a .345 wire.